October is finally here, can you believe it?! This weekend, I picked up some fall throw pillows to update my home for the season, and now I’m eyeing modern Thanksgiving tablescape ideas. It’s never too soon to think about your Thanksgiving (or Friendsgiving!) decor, as sometimes I’ve waited until a little too close to the holiday and come to find out things are sold out! 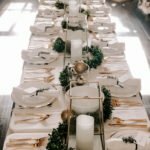 If you’re looking for some ideas and inspiration for your own gorgeous modern Thanksgiving tablescape, keep on reading as I’ve got a few for you! No one said you had to stick to an orange/cream/black color palette. Try some metallics instead! 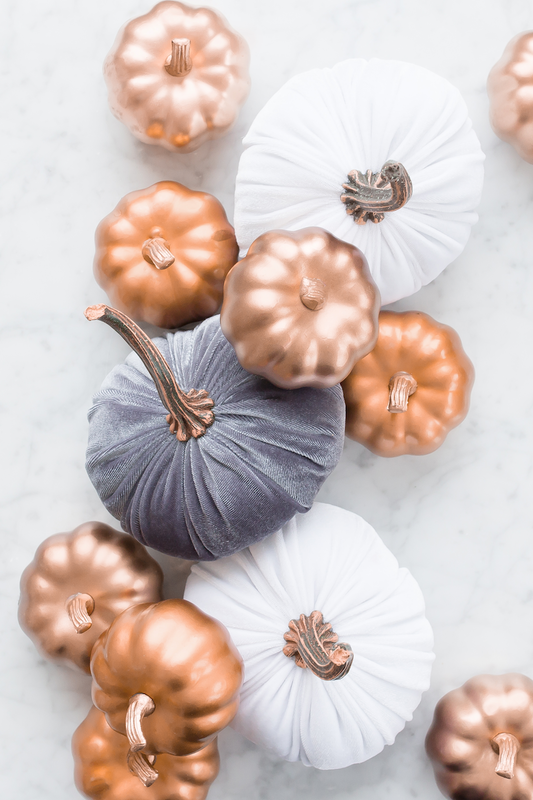 Some metallic pumpkins are a cute way to add a modern element to your Thanksgiving table. And you can decorate with them around the house, too! I’m not a DIY person myself, but I’m quite sure some pumpkins from Michael’s and a bottle of spray paint can work wonders for this. I also spotted some metallic pumpkins at Target and Hobby Lobby, too! Something about the holidays screams clutter. I’m looking at you, Christmas tree that’s about to fall over in decorations! So there’s definitely something refreshing about minimal Thanksgiving decor. I love the idea of keeping it simple and adding just a few Thanksgiving-themed decorations, like pumpkins and fall foliage. NEW HERE? 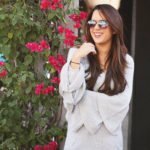 NEVER MISS A POST AGAIN AND SIGN UP FOR MY EMAIL LIST! 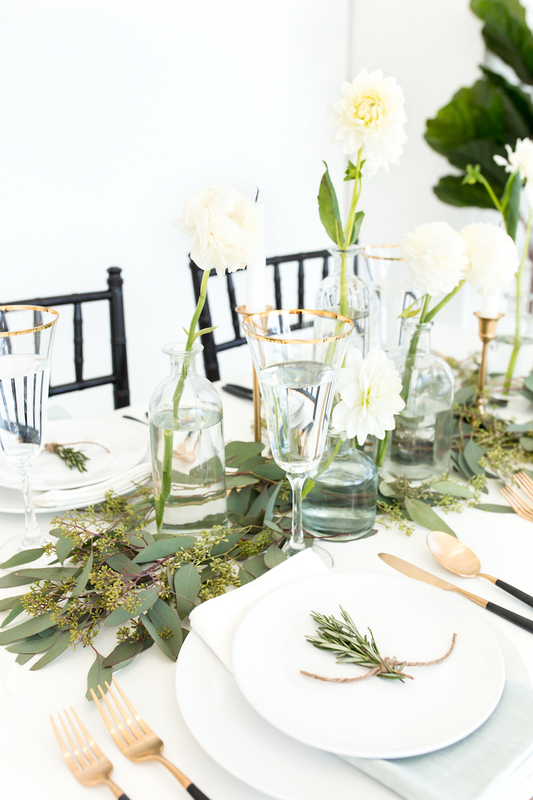 I love the way Living with Landyn decorated her modern Thanksgiving tablescape in a palette of layered neutrals. It’s understated yet so elegant! Another bonus is that when you’re working with a neutral palette like this, you’re able to easily re-use a lot of the decor items. So you’re not stuck wondering what to do with all of your seasonal storage goods! 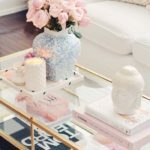 Black and white decor is definitely having a moment, so it’s no surprise this trend, which makes anything instantly modern, has landed on holiday decor, too. 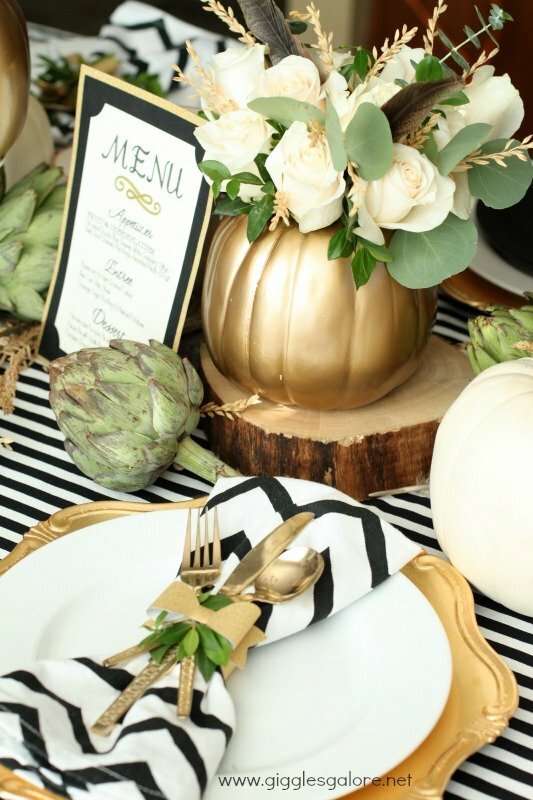 Black and white with a touch of gold is modern, elegant and quite timeless, like this place setting by Giggles Galore. It’s a gorgeous non-traditional Thanksgiving tablescape idea and, just like with neutrals, you could easily re-use a lot of the items! By the way, there’s gold flatware just about anywhere but I’m pretty sure the best price is this 80-piece set from Wayfair! Such a good deal. 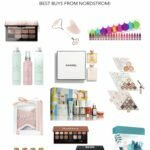 I’ve rounded up a few of my favorite items below to help you get the look! 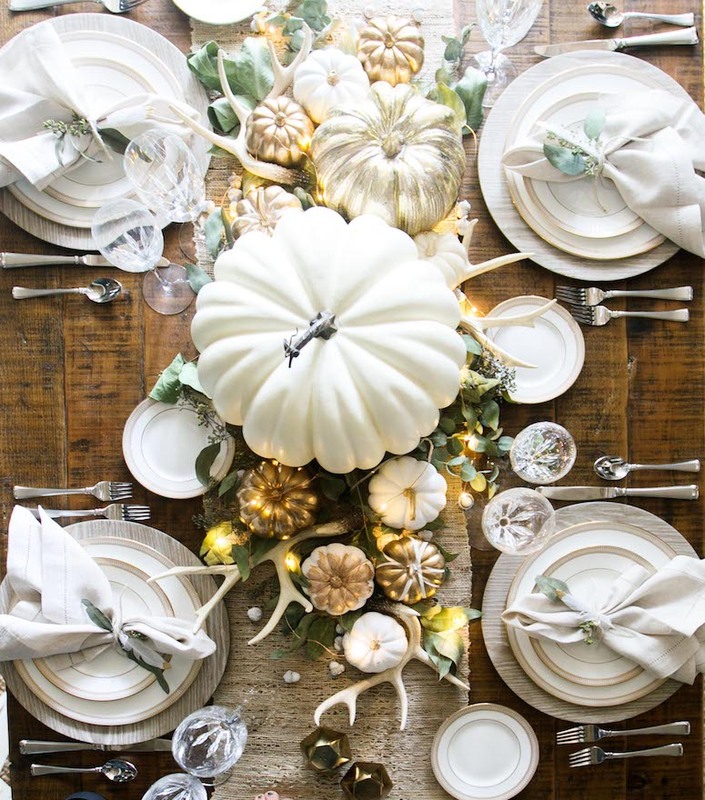 Are you planning a non-traditional Thanksgiving tablescape this year? And even if you aren’t hosting, do you decorate your table? Let me know!